You can't control the rain, but a propane irrigation engine's power, reliability, and efficiency give you something you can control. Producers from California’s Central Valley to Florida’s citrus groves choose propane irrigation engines. Why? They're more efficient, reliable, cleaner, and cost-effective compared with diesel-powered engines. Keep exploring to learn more. More Florida producers are turning to propane to power irrigation engines, because of propane’s performance, reliability, fuel efficiency, and low emissions. California farmers face the challenge of stringent emissions standards for their equipment, including irrigation engines. That’s why these producers rely on propane. 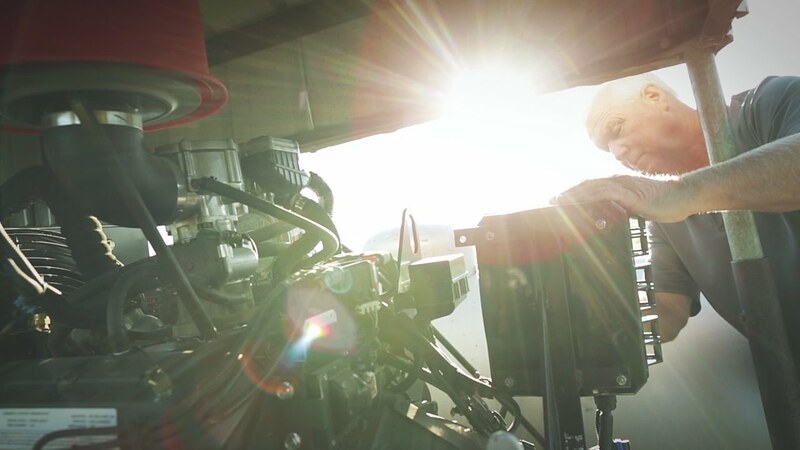 The Walvoord family has stuck with propane for their irrigation engines, because it’s efficient, cleaner, and supports the longevity of every machine it powers. Propane Farm Incentive Program participants discuss their success with the program and the benefits they've experienced by using propane on the farm. Origin Engines - Clean, American Innovation. Origin Engines is a leading propane innovator, and with their 10.3L engine, have brought propane into a horsepower class where it hadn't been available previously. Propane-powered irrigation engines are clean, reliable, and efficient, and are used on agricultural operations from coast to coast. Learn about other uses for propane on the farm, subscribe to our Ag Post enewsletter, and more. This producer reduced his environmental impact with a propane irrigation engine while also decreasing time and money spent on maintenance. See what these California producers said after a trial run with propane irrigation engines. Explore the benefits of using propane to power irrigation engines on your operation. Walnut farmer achieves improved efficiency, lower energy costs with new irrigation engine. Nebraska producer improves efficiency with powerful new propane irrigation engine. Family farms increase profit with switch to propane-powered irrigation engines. This company offers technology that makes older diesel engines Tier 4 and CARB-compliant by mixing diesel with propane to lower emissions. What are my first steps for implementing a propane irrigation engine on my operation? Reach out to a propane supplier in your area to discuss a fueling schedule and contract. Then connect with your equipment dealer for information on the propane irrigation engines that they carry, work together to determine your engine needs, and don't forget to apply for the Propane Farm Incentive Program once your equipment purchase has been confirmed. How does the performance of propane-powered irrigation engines compare to the performance of engines powered by other fuels? Propane is a very efficient fuel for irrigation engines. According to results from the 2014 Propane Farm Incentive Program, producers reported that their new propane-powered irrigation engines performed 28 percent more efficiently and reduced energy costs per hour by 50 percent compared to previously owned diesel units. As an environmentally conscious farmer, how can a propane-powered irrigation engine help me meet emissions standards? Propane irrigation engines produce up to eight percent fewer greenhouse gas emissions than diesel models, and 18 percent fewer than gasoline engines. EPA- and CARB-certified models are available for sale in all 50 states.